Barbara J. Lippard of SCORE advises entrepreneurs to acquire all the necessary management skills. Barbara J. Lippard of SCORE. Reem Rahim is the creative director of Numi Organic Tea, which she co-founded with her brother in Oakland more than ten years ago when they decided to import a tea they drank as children in their native Iraq. Numi has since become the largest organic, fair trade specialty tea company in the country. A former biomedical engineer, Rahim oversees the company's package design efforts, which feature her original paintings. She also is responsible for crafting, along with her brother, Numi's green and sustainable values, and initiating Numi's nonprofit organization, which supports social and environmental causes. To submit your questions to Reem Rahim, e-mail them to Bernice.Yeung@EastBayExpress.com by Friday, August 13th. 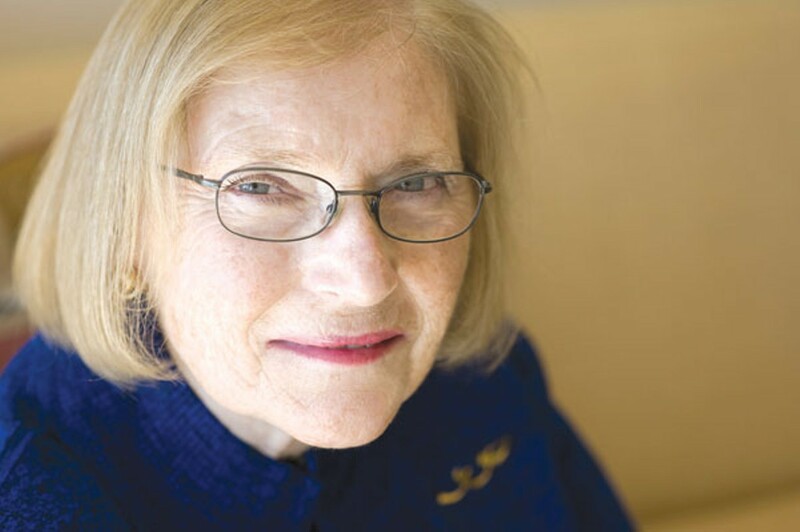 Berkeley's Barbara J. Lippard has served in various leadership positions within SCORE, the national organization that provides free small-business mentoring and training. Currently, she's a counselor and serves on its national board of directors. Prior to her retirement, Lippard was an investment manager for Time, Inc.'s Venture Capital Group, and an executive for Selling Areas-Marketing Inc. (SAMI), a division of Time, Inc. She talked to the East Bay Express about the key components of running a successful enterprise, the biggest misconceptions that entrepreneurs have, and what's different about running a business in the East Bay. Tell me a bit about SCORE. SCORE is a 45-year-old, nationwide organization with 12,500 counselors and approximately 400 chapters in the US. We have a new strategic plan and business plan and our goal is that by 2017, we will have started one million successful new businesses. We do face-to-face counseling at no cost because it's funded by Congress. Clients can come in as often as they want, and for as many years as they want. The relationship lasts as long as the client wants it to. In addition to free face-to-face counseling, we have workshops. The primary workshop covers how to start and manage a business. It's a full-day workshop taught by SCORE volunteers and professionals in the community, like attorneys and accountants, or insurance people who talk about the issues related to starting and managing a business. We also have online counseling where you can go to the national web site, click on "Ask SCORE," type in a key word or a question, and someone with that experience will get back to you in 48 hours by email. Tell me about one of your clients and how you've assisted them. Our clients are confidential, but one of my clients said it would be okay to mention her business. I've been working with Bay Area Green Tours for almost a year, and in the time since I met the owner, Marissa LaMagna, she has introduced many more tours, and she has added structure to her business. The two issues where I have been most influential is in explaining to her the need to have a business plan that will describe her organization so that the community can understand what she is adding to the community, and that can be used to help her gain funding. The other thing I've done is in encouraging her to understand the financials and why they need to be managed so that the company has the capital to grow. What are the biggest misconceptions that small business owners have? Most people who want to start a business have a certain skill or idea, and what they don't understand is that having that skill or that idea or that new product is not enough to make that business successful. They need to have all of the elements that make a business successful. You need the idea. You need good management — it's better to have a second-rate idea and great management than a great idea and poor management. You also need capital, and depending on what you're doing, you need sales and marketing. You need to manage your finances. And you need a willingness to work 24/7. You are not going to start a business so that you can have more free time or because you don't want to have a boss because your boss will be replaced by your customers or your suppliers. You will always have to be responsive to somebody. My background is finance, so I tell my clients that they need to have a sense of financial management and of the numbers, so that they understand how much it costs to do what they are doing, and how to make projections about when they will break even and profitable so they can plan for ahead. Otherwise, there will not be enough money and not enough capital, and a good idea can die because the owner can no longer take money out of their own pocket to put it into business. What are the most important lessons you learned about business through your career, and how have you helped small business owners make that same realization? What I've learned is to do what you say you're going to do, and do what you do well. Because if you always meet an excellent standard, then you will have that reputation. And I think you have to be persistent, and "no" is just an opportunity to get someone to say, "Yes." Also, I'm very big on planning, strategy, and tactics. You need to develop a strategy of how you're going to implement your business, and tactics to support that strategy, and then you use that information as a benchmark of what you're actually doing. In a business plan, you can have financial projections going out say, four years, which you should use on a daily or weekly basis to assess whether you're doing as well as you otherwise could be. If you are, great. What are you doing well? If not, why not? What do you need to do to match those projections? When I help people with business plans, we start with the question: What do you need to support the lifestyle that you want? A lot of people write a business plan because someone said that they needed to do it and because you can't get dollars from a bank without one. And if they happen to get some funding, then they throw the business plan into the back of a filing cabinet and never look at it, which is a waste of a document that could be very helpful for them. Is there anything unique or different about doing business in the East Bay? There is a lot of interest in green businesses. Even people who are not necessarily running a green business want to do whatever they're doing in a green way. That's an opportunity, and that's something different about the East Bay. We have a group at the East Bay Chapter of SCORE, a group of counselors who are really excited about the green economy and sustainability and we have clients who are doing something in this area. We feel that whether a business is green or not, you still need to have the same business skills to grow and be successful, and we can help you with that. Whether you're a for-profit or a non-profit, it's the same issues. With green businesses, the difference is in understanding the green manufacturing techniques, understanding the dynamics of what makes your business green and sustainable. This is where the economy is going. The general world population buys into the concept of global warming, that there is awful environmental pollution going on. There is an understanding in the world society that the world needs to do better and we need to start to improve things. And when it comes to businesses and the way we do business and the way we use products, we need to look at that so we do not contaminate the water and we don't use all of our natural resources up. However you define the green economy, there is more buy-in, and it's where we're going. Are there ever situations where you'd advise someone to not start a business? The SCORE counselors feel that some of their best work is in keeping someone from getting into debt because they're not ready to start their business. There are a number of reasons why we ask people to rethink their business idea, and one is that the idea is not competitive; the competition is so big and strong that they probably won't make it. Other reasons are that people want to go into business and they are not prepared. For example, many people want to go into the restaurant business and when we ask them what kind of experience they have, they'll say, "I like to cook." When we ask them if they've ever worked in a restaurant, they'll say, "No." So we'll suggest that they go and take a part-time job in a restaurant so that they can start to understand inventory control, and buying, and where to purchase equipment. It's never presented to them as a negative: "You shouldn't go into business," or "You're not an entrepreneur." The question we ask them is, "How can you prepare yourself?" I have one gentleman who used to call me all the time, and we'd always have the same conversation. He'd ask me what business he should go into and I'd always tell him that it has nothing to do with what I want him to go into; it's about the business that he wants to go into and that he has the skills for. There are businesses that have the potential for growth and those that don't. Within those two parameters, you need to find what you want to do and look for a niche that you could fit into. Janelle Orsi's Sustainable Economies Law Center seeks to promote a more humane economy. In the August Small Business Monthly.